We all own some (digital) data files either it is a document, photo, music file, etc. You either created the file, received it from someone, or downloaded it from the internet; does not matter. 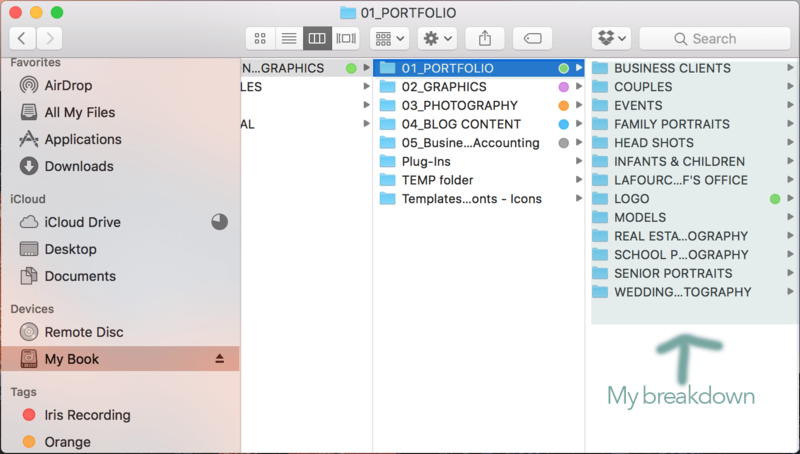 You should be able to find those files within a folder that you created. If you do photography as a hobby or profession, and a client calls you a few months later requesting IMG_0068.jpg or 16.n.kreweofchristophertableau0068.bmq.jpg, you should be able to search for the file by doing a local search or know where to go to retrieve that file and provide it to your client. Data management is crucial, and every photographer should have some filing system in place. The video below will show you the inside of Brandon Queen Photography’s data management system. Take note of how all of my files are within folders. This tutorial shows the inside of my (computer) filing system. This show the organization of my particular photography studio and what you should consider if you are an upcoming photographer and wanting to start your own business. Organizing is a great way to know where all of your photo shoots are stored and your personal photography is stored. 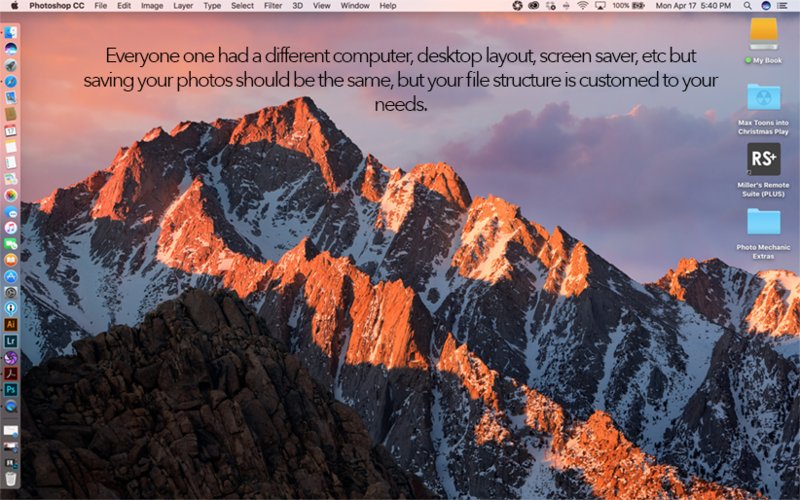 Create your file system from scratch! Open your Finder or Documents folder. 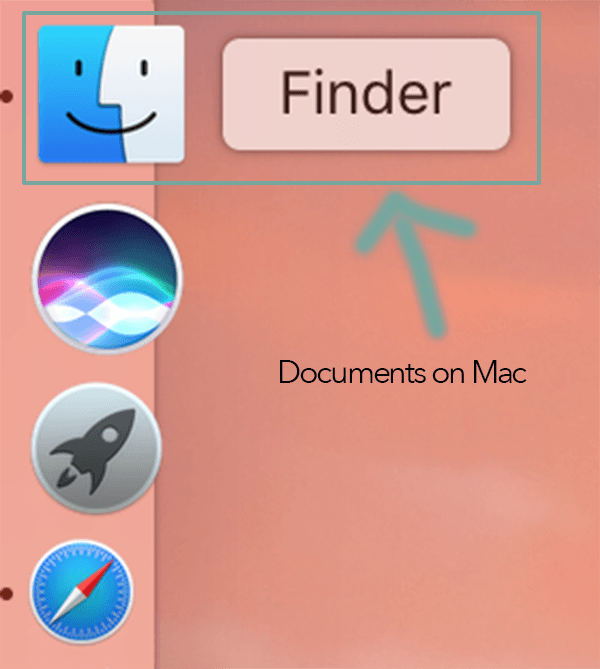 Explore your Document of Finder window once opened. If you have an offsite storage system (external hard drive, portable hard drive, etc. ), then locate and open that drive. If your drive is new or old; I highly recommend you take the time to organize your hard drive to fit your needs or make it what is best for you. Your filing structure will be different from mine. Be sure to have one! 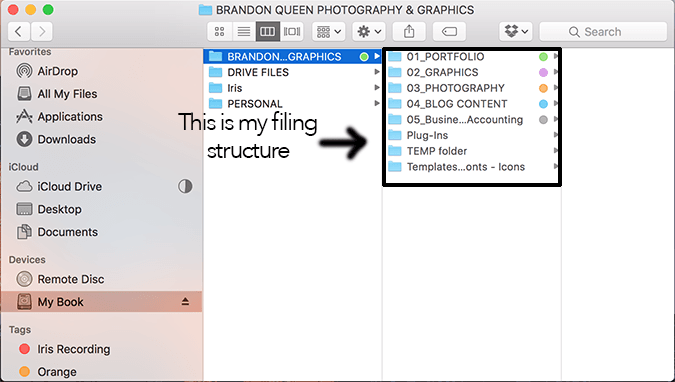 Once your file structure is set up, then review it and familiarize yourself with it as well as your assistance if you have any. 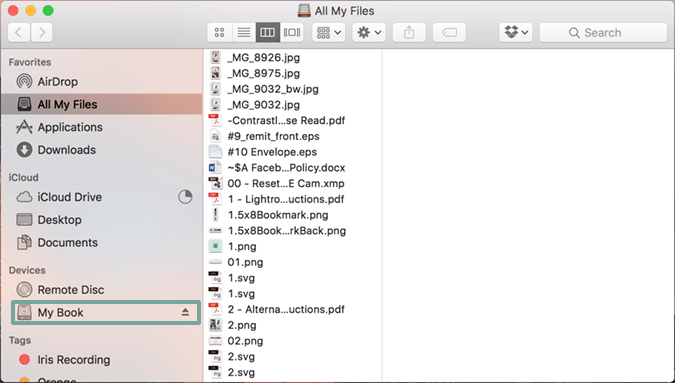 Once you are familiarized with the file structure, be sure to use the same system and style for saving all of your photos and documents. 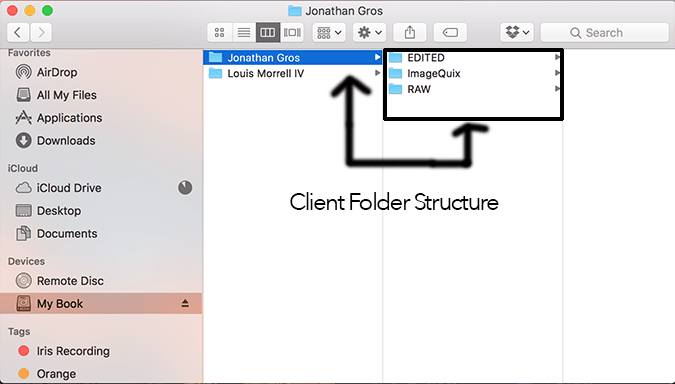 Make this a mundane thing will create a clean and neat file structure. After all, who like clutter? If this tutorial was helpful, please let us know and leave a comment on this post. We strive to help other photographers and others organize their photos and documents. Thank you!